Welcome to my website, SOBHY SQUAD! Thanks so much for checking out my website and taking an interest in my life on and off the Professional Squash Tour. My bio tells a bit about how I got into squash and of course my favorite hobbies. You can also check out my tournament schedule, news articles about me, my crazy blog, tons of pictures, my “A” team (the fine folks who keep me fit, run me around on court, fix up my body, and keep me sane), and of course links to my fabulous sponsors and my shop! Find me on social media Facebook, Twitter, and Instagram …and if you’re feeling creative, send me a message or some awesome fan art and maybe I can surprise you with a shoutout! Big love and hugs to my family, friends, and fans…and everyone that is part of the SOBHY SQUAD! Support Amanda’s Professional Career! 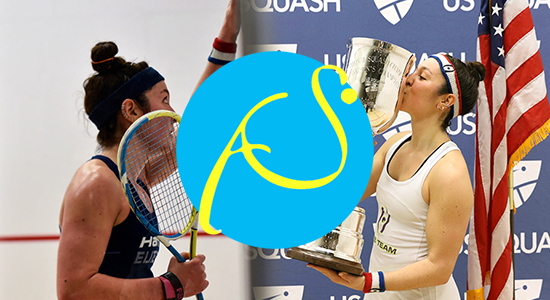 Help offset Amanda’s training & traveling expenses by making a tax deductible contribution under Amanda’s name in her USSquash Elite Athlete Support Fund below. © 2019 Amanda Sobhy. All Rights Reserved.